If you are planning an outdoor trip and plan to go camping or hiking having the right tools is important. If this is your first time figuring out everything you need to take with you can be particularly difficult. You want to make sure you have everything you need, but you don’t want to carry too much, especially when you are hiking. The best thing to remember is you do not want to be weighted down with unnecessary items so think carefully when you are packing. Other than the obvious like a sleeping bag, survival knife, map of the area, or waterproof matches there are some essential thing you need for your trip. When in doubt here are the five must have tools when you are camping and hiking. There are many uses for duct tape while you are camping and hiking. Duct tape can be used during repair jobs from rips in you sleeping bag, tears in your tent, and sealing your food bags. Duct tape can also be used for emergencies like if you sprain your ankle; duct tape can provide support. Create a splint, use with sterile dressing or tissue paper as a bandage, or to cover a blister; duct tape can be used for all types of first aid. Many people think that any old hiking boot will do but when your halfway through the hike and your feet are wet and aching you’ll realize you should have picked a better pair. Don’t skimp when it comes to picking out your hiking boots. Cheap boots may not even last through the entire hike, so make sure you research the best boots the trail may not take it easy on your boots. Depending on your hiking location you may run into some insects that give you a run for you money. Insects can cause disease, pain, swelling, and other illnesses. Just to give you an idea a fire ants sting is only 1.2 n the Schmidt Index scale a tarantula hawk or spider wasps is around four; its considered the second painful insect sting. Anything that will deter animals from stinging you while you are on your trip will be beneficial. Look for deep woods insect repellants. 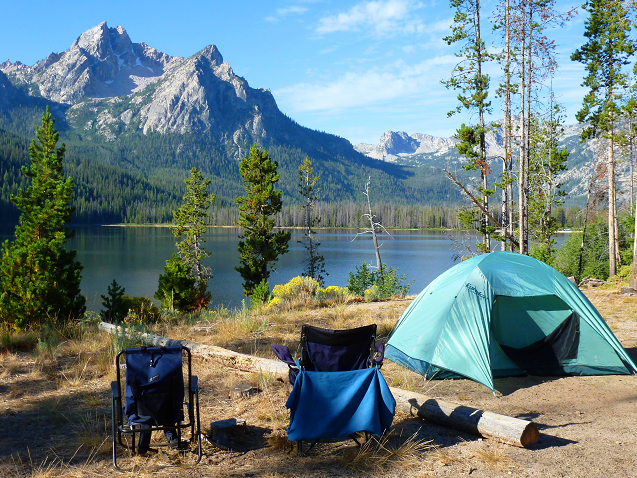 You may remember to bring your toothbrush, toothpaste, and deodorant, but many people forget some very helpful items that they would never assume they will need while camping and hiking. A container of wipes can come in healthy if you just want to freshen up or if you have to go to the bathroom and you don’t want to use wet leaves. Extra socks, undergarments, hats, a clean shirt, and items you can layer are beneficial to keep you feeling clean and refreshed. Walking around with soggy socks can be one of the worst feelings ever.